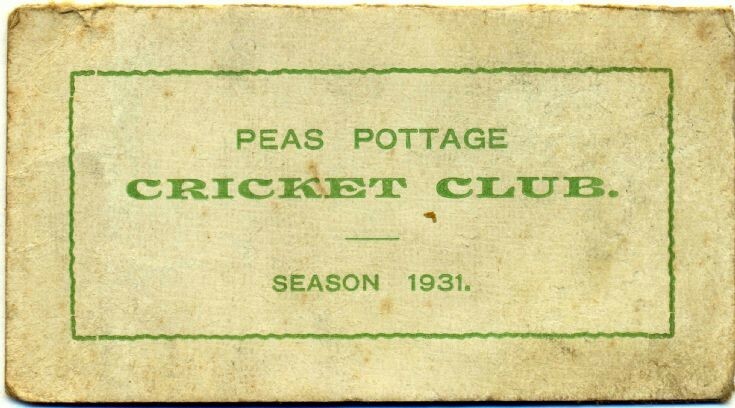 From its tatty appearance it seems that someone carried the fixtures card of Pease Pottage cricket club in their pocket throughout the 1931 season but, thankfully, they recorded the results of every game. They must have been a formidable side as they played 21 games, won 19, and lost only 2. To view the other pages of the card click on Open Document.